Welcome to the four hundred and seventy-fourth of my blog interviews with novelists, poets, short story authors, biographers, agents, publishers and more. Today’s is with non-fiction author and blogger Kat Spitzer. A list of interviewees (blogged and scheduled) can be found here. If you like what you read, please do go and investigate further. Morgen: Hello, Kat. Please tell us something about yourself, where you’re based, and how you came to be a writer. Kat: My name is Kat Spitzer, and I’m based in Maryland. I have always been a writer, from a journaling child, to a bad-poetry-writing teenager, to a technical legal writer and grant writer, to the creative writer I am today. Morgen: I love it whenever an author says they’ve always been a writer. I ‘discovered’ writing in my late 30s and wished I’d started earlier but remind myself that I have 30+ (now 40+) years’ experience. What genre do you generally write and have you considered other genres? Kat: I write non-fiction (although The Happy Hypochondriac reads like fiction… sadly it’s all true). I write books and also freelance articles and pieces for magazines. I also collaborated on a cookbook. I would like to try my hand (again) at a novel and look forward to that adventure down the road. Morgen: Cookbooks are incredibly popular. As for your novel you could always write it for NaNoWriMo this November. 🙂 What have you had published to-date? Do you write under a pseudonym? Kat: You can find The Happy Hypochondriac on Amazon, Barnes & Noble and other online and local retailers. It is a humorous tale of living a life of funny, and often ridiculous circumstances, while in constant fear over health. It’s positive and uplifting and hopefully readers will get a lot out of it. I also write the daily humor blog at my website of the same name, www.happyhypochondriac.com. I write under my own name. Kat: Oh man. There were so many rejections. In fact, when the publisher who did publish the book first contacted me, their letter started with “I’m sorry…” and I almost deleted it from my email. That’s how used to rejection you become. But it was just “I’m sorry it took so long to get back to you.” I’ve used every rejection as an opportunity for growth and to make my writing better. Morgen: Phew. 🙂 Do you have an agent? Do you think they’re vital to an author’s success? Kat: My book was published by a smaller publisher so I don’t currently have an agent. Down the road, with more books, I will definitely want an agent if I want to get with a larger publisher. Morgen: That’s the thing, isn’t it? Most authors realise that they’ll likely need an agent to get into the ‘big six’ but then with so many great independent publishers many are happy to do what you’ve done. Are your books available as eBooks? Kat: The eBook is on the way! Stay tuned! Morgen: Great. 🙂 How much of the marketing do you do for your published works or indeed for yourself as a ‘brand’? Kat: I do a ton of marketing. So much of it is social media but I also work with the publisher to get reviews, interviews, and other public speaking and promotional opportunities. I have a brand as The Happy Hypochondriac, so I try to do as much as I can to get it out there. Publishers rely more and more on authors to do so much of this themselves. Morgen: They do because they just don’t have the budgets and, like many companies, when an employee leaves the work is then spread around the remaining staff. Do you have a favourite of your projects? If any of them were made into films, who would you have as the leading actor/s? Kat: I would have to go out on a limb and say The Happy Hypochondriac. Is that narcissistic since that’s me? I definitely wouldn’t know who to pick as the actress to play me. Someone with big hair, for legitimacy purposes. My husband would like it if she had a British accent. It would be cool to see “myself” with a tan. Morgen: I have a British accent 🙂 and a dog-walking tan 🙂 but I can’t act (I had two lines in my school play and fluffed one of them). 😦 Did you have any say in the titles / covers of your books? How important do you think they are? Kat: I was lucky to have some input on my cover and I am so grateful for that. No matter what anyone says, everyone judges a book by its cover to some degree. Morgen: They do, especially online when it’s all a buyer has (apart from reviews). What are you working on at the moment / next? Kat: I am working on Book 2 in a Happy Hypochondriac trilogy. I want to make readers laugh and feel better about their own situations or little idiosyncrasies. Morgen: I think that’s the great thing about books (fiction and non-fiction), that they often make us realise that we’re only human and can make mistakes and that we’re often not as badly off as we thought. Do you manage to write every day? Kat: I do try to write every day. The blog on my website helps me do that and keeps me sharp. Morgen: Me too, especially my 5pm fiction slot. 🙂 Do you plan your writing or do you just get an idea and run with it? Kat: I have ideas on index cards and then I run with it. It’s very technical and precise. No, not really at all. Morgen: <laughs> Do you have a method for creating your characters, their names and what do you think makes them believable? Kat: All my characters are real. I change their names to other names I really like. Kat: I must have edited the first book about 15-20 times all the way through. It was pretty clean by the end. I still edit like that because I’m too self conscious about sending it out into the world half-bummed. Morgen: 15-20 that’s some going. My biggest novel is 105K and will probably be under the 100 mark once I’m done with it (it’s currently having it’s final edits by one of my – very firm but fair – first readers) so will have had about seven read-throughs so hopefully it’ll zing. 🙂 Do you have pieces of work that you think will never see light of day? Kat: I wrote a novel once. I will admit it’s terrible. It will take a LOT of tweaking for that to see the light of day. But I am an optimistic, determined person and I will make it happen. One day. Probably not anytime soon. Morgen: I like to think the same about everything I’ve written, that I’ve had enough practice (I’m pretty sure I’m over the 1,000,000 mark). What’s your favourite / least favourite aspect of your writing life? Has anything surprised you? Kat: I love the flexibility of the work, in the sense that I can write late at night, or first thing in the morning, or sneak it in when my kids are in school or sleeping. I don’t have a least favourite aspect. I love it! What surprises me most is that I have enough to say. Morgen: 🙂 And all we need is a pen and paper, or with a laptop can share our muse with the world at the touch of a (few) button(s). What advice would you give aspiring writers? Kat: Just keep writing. Even if it’s bad at first. Get those thoughts down. The more you write, the better you get. And be proud of yourself when you have some success. It will inspire you to do more. Morgen: Absolutely – you can’t edit a blank page. If you could invite three people from any era to dinner, who would you choose and what would you cook (or hide the takeaway containers)? Kat: There’s no way I could narrow this down. I’ll take my husband and two kids any time, though. And if I don’t have to cook the food, even better. Morgen: If you had to it wouldn’t be different from any normal meal so that wouldn’t be fair. Is there a word, phrase or quote you like? Kat: Irish eyes are smiling (I’m Irish and I always want to be smiling). Morgen: I have a great Irish friend (from Belfast) who married a US Army major and now lives in Washington and she’s always ‘bonny’. 🙂 Are you involved in anything else writing-related other than actual writing or marketing of your writing? Kat: I enjoy public speaking and find that motivational speaking is one of my favourite activities. Morgen: Is it? I’ve done very little although I’m OK if I’m confident about my topic. I’m down to do three talks / workshops and compering some of the panels / author readings at the forthcoming Northampton’ s booQfest and I’m really looking forward to it because it’s literary (and I say I’ll go to the opening of a rejection envelope) but also it’s my home territory, like playing a home game of football or having the Olympics here. 🙂 What do you do when you’re not writing? Kat: I love to travel and my friend, who makes me run marathons, has convinced me that I like to run. I’m sceptical still on that one. I love reading as much as I love writing. Morgen: While you’re running you could be thinking about your current project or planning your next one. When I’m walking my dog I’m usually reading a writing magazine, editing something or writing. We tend to fill our days pretty easily, don’t we. Are you on any forums or networking sites? If so, how valuable do you find them? Kat: I spend astronomical amounts of time on social networking. LinkedIn, Pinterest, Facebook, Twitter, etc. I think they are valuable but I’m still a work in progress, I think. Morgen: I’m on all those and feel the same – it’s all a learning curve. Where can we find out about you and your work? Kat: Visit me on my website at www.happyhypochondriac.com. Read the blog, get the book, print out the book club questions for your reading, read my posts at www.whatsupkids.net. Morgen: Book club questions, what a great idea. Is there anything else you’d like to mention? Kat: I love my fans, and hope you all enjoy reading my work. Morgen: I hope so too. 🙂 Thank you, Kat. How does a person stay upbeat in life when she constantly fears death or other health catastrophes? This humorous, absurd, yet relatable story offers a glimpse into the antics of a hypochondriac; from the rapturous to the downright ugly. She endures dance recitals gone wrong, first love amid the glow of mini golf, living the college dream with waffle batter in her hair, the gut-wrenching loss of her parents, forging lasting love while clinging to a mountain, and starting her own family with a rash so bad she was declared a medical marvel; but shows it’s possible to function, succeed and even have fun despite the craziness. 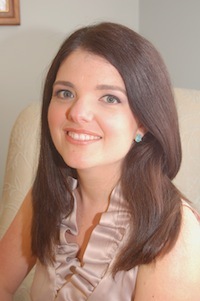 Kat Spitzer writes the blog, “The Happy Hypochondriac” (www.happyhypochondriac.com). She also writes nonfiction for magazines. 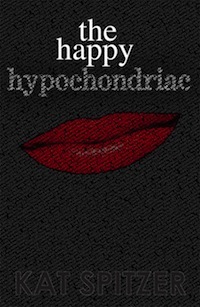 The Happy Hypochondriac is her first book. She graduated from Vanderbilt University and Vermont Law School. The word “hypochondriac” appears in all of her medical files. She lives in Maryland, surrounded by her very patient and understanding friends and family.